Don't let the lack of time discourage you from exercising! Unfortunately, many of us don't have much time to exercise on busy days, and it may seem that seizing the humble amount of time we do have is a waste of time. Well, it isn't! According to studies, even 20-30 minutes of exercise is great for our overall health. A 2017 study published in the journal Brain, Behavior and Immunity looked at the effects of 20 minutes of daily exercise on the overall health. Researchers of the University of California hypothesized that exercise improves the body's response to inflammation by activating the sympathetic nervous system. By doing so, both the heart rate and blood pressure improves, along with the improvements that can be observed in the breathing pattern. Thus the production of the TNF cytokines can reduce as an effect of the activation of the sympathetic nervous system. Although inflammation is an important part of the body's immune reaction, too much of it can lead to chronic diseases and health conditions, such as diabetes, joint inflammations, obesity and diseases of the digestive system. In the study, researchers asked 47 participants to walk on a treadmill for 20 minutes. They collected blood samples before and after the exercise. They noticed that a 20-minute, medium intensity walk reduced inflammation, which proves their hypothesis right. The amount of the reduction of the TNF cytokines was approximately 5% compared to the samples took before the exercise. Actually, the result of the study means that some easy lifestyle choices - like choosing to walk or cycle to work/school instead of using a car - is a useful way to be a little more healthy, and possibly prevent some chronic diseases. What more, this was not the only study that concluded that even a little exercise is good for our health. Another study, published the May of 2017 in the journal PLOS One, also described how even 10 minutes of brisk walking per day may benefit the health of women. In this research, they looked at how exercise affected the overall health of the 120 women (all 65 years old or older) who participated in the research. 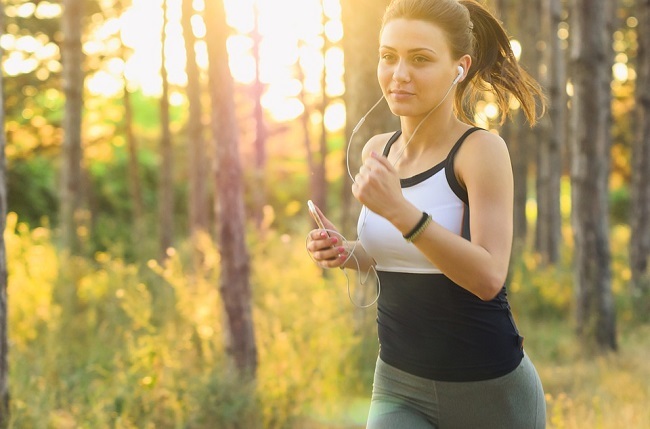 They concluded that although the intensity and the length of regular exercise does affect the "extent" of health benefits, some improvement could be observed even when the participating women only did 10 minutes of exercise.